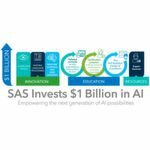 The International Data Spaces Association (IDSA) is an international peer-to-peer network, a virtual network where business and research are actively involved in designing a trustworthy architecture for the data economy. It aims to facilitate the worldwide exchange of data between data providers and data users in business eco-systems, whereby data providers stay in control of their data-sovereignty by setting restrictions and defining conditions for the use of their data, upon request even audit-proof. Ever since its foundation in 2016, almost 100 companies and institutions from various industries and sizes from 18 countries, including several Fortune 500 companies, global acting medium-sized companies, software and system houses have made progress in building the IDS architecture. With the decision to include the iSHARE data-sharing agreements into the IDS architecture, IDSA is able to accelerate the deployment of a secure infrastructure that protects data sovereignty and trust. TNO is the IDS Hub in the Netherlands supporting sectors and organizations in building data-sharing ecosystems. iSHARE is a set of agreements that enables organizations to give each other access to their data. Since they all work with the same identification, authentication and authorization methods, they do not need to keep making new agreements every time they want to share data. The scheme went live in 2018, and the number of organizations that are implementing iSHARE is growing steadily ever since. 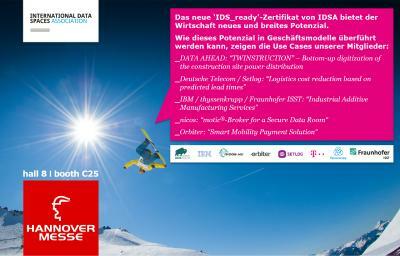 “iSHARE strengthens our commitment to facilitate and accelerate secure data exchange between companies. By including iSHARE we offer more choice in trust mechanisms and a faster deployment for our community”, says Lars Nagel, Managing Director of the IDSA. 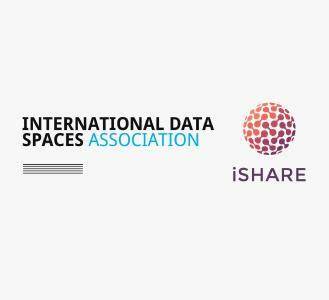 “We are very excited about IDSA’s decision to adopt the iSHARE agreements into its own architecture for data-sharing. It underlines the generic applicability of iSHARE as well as a great stepping stone for our community towards the full IDS architecture scope”, according to Douwe Lycklama, iSHARE Lead. iSHARE is a uniform set of agreements or scheme that enables organizations to give each other access to their data. Since they all work with the same identification, authentication and authorization methods, they do not need to keep making new agreements on these topics every time they want to share data. Together, the partners who participate in the iSHARE scheme create a ‘network of trust’ within which they can share data effortlessly. iSHARE is an initiative of the Dutch government’s Logistics Top Sector. The International Data Space (IDS) is a peer-to-peer network, a virtual data space that supports the secure exchange and the simple linking of data in business eco-systems on the basis of standards and by means of common governance models. Over more than 95 international organizations are member of the IDS community. 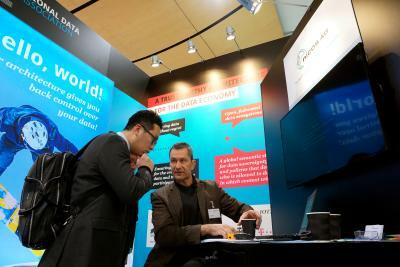 IDS is managed by the International Data Spaces Association, a European non-profit association with currently 100 members from numerous industries, ICT and research across 18 countries, predominantly European.